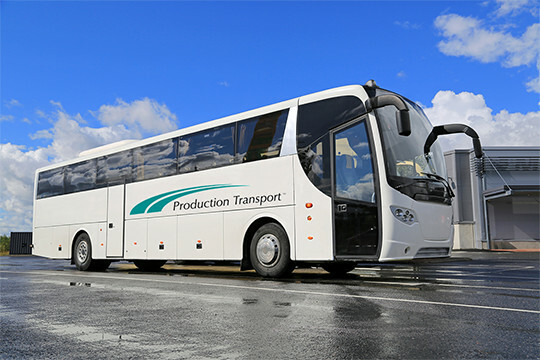 At Production Transport, we proudly provide ground transportation for companies and teams across the United States and Canada. Whether you have a big conference, trade show, convention or another event coming up, you will need reliable and convenient transportation services. Our experts will plan the type of transportation your group needs whether it is a mini bus, a deluxe motor coach, a VIP limo or town car service. We can also arrange for the shuttle bus to pickup and drop-off at the airport as well as the convention center or another meeting place. We are more than happy to provide you with excellent transportation services. We know that having to plan transportation in a city that you are unfamiliar with can be a hassle. Yet, with us, you won’t have to worry about anything other than showing up. We will take care of all the logistics from mapping out the routes of the shuttle bus service to scheduling the times, and much more. Founded in 1982, we have been proudly serving corporations and companies all across the United States and Canada for over 34 years. Our top priority is taking care of our customer’s transportation needs so that you feel happy and at ease with the whole transportation experience. A few of our company values include being extremely thorough, respectful, responsive, flexible, and provide a high level of customer service so that you are more than satisfied. Ready for a reliable and positive transportation experience?